Is there anything that can’t be made with LEGO? 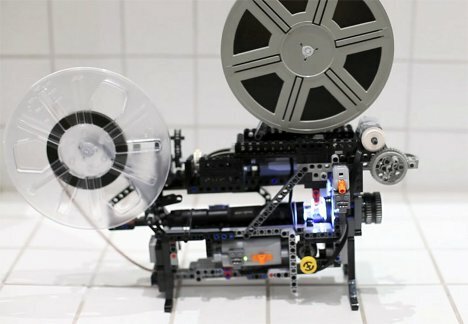 A very talented dude named Friedemann Wachsmuth built a fully functional Super 8 movie projector from LEGO Technic pieces and not much else. The only non-LEGO pieces are the lens, lamp and film reels. Wachsmuth used only two motors in the setup, which is capable of 24 FPS and automatic feeding. The picture in the video is a little shaky, but the inventor says he has since improved the film pulldown mechanism to make it more stable.